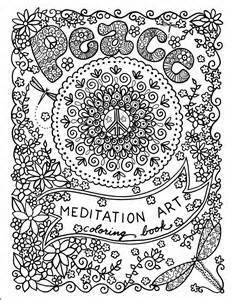 Coloring Books and Meditation. What’s up with this? Why meditation is so good for us. Wherever I go lately people are coloring. They tell me it quiets their mind and they feel better after. This is so cool. Meditation is the intention for attention. It’s suppose to bring us into the moment. We let go of the past and we stand firmly in the present. The more you meditate the better it gets. Here is an article from psychology today on Meditation. “Sitting every day, for at least 15-30 minutes, makes a huge difference in how you approach life, how personally you take things and how you interact with others. It enhances compassion, allows you to see things more clearly (including yourself) and creates a sense of calm and centeredness that is indescribable. There really is no substitute. Amazing article. I know this is true because I feel it myself. It helps me be non judgmental 98 percent of the time. (I am human and when I have those moments I work hard at chasing them away. I thought I might get too blissed out and not care about things but it really helps with thinking clearly. But Back to coloring. I’m very much for what ever works. Sit comfortably and take a few deep breaths. Pay attention to your body, especially around the neck and shoulders, and release any tension in the muscles. Give yourself a moment to relax. Once you’re settled, pick up a crayon or marker and start coloring. Move slowly and rhythmically. I recommend drawing or coloring circles and spirals first to get your hand moving in a circular motion because it can become rather hypnotic. Don’t worry about staying within the lines, or about whether or not blue and orange look good next to each other, or about any other trivial details. Enjoy the process and don’t attach yourself to the end result. Let your mind wander freely. Continue to move slowly. Simply relax, take your time, and fill the space with color. Do this for ten or fifteen minutes. In simplest terms, coloring has a de-stressing effect because when we focus on a particular activity, we focus on it and not on our worries. But it also “brings out our imagination and takes us back to our childhood, a period in which we most certainly had a lot less stress.” This leads us immediately and unconsciously to welfare, exposes the specialist. I want a coloring book! I want coloring books at work! Seriously this sounds like a wonderful way to help people get into their zone. Let’s work together on our compassion. Let’s be logical, balanced, see things more clearly. Lets keep those neural pathways strong. Maybe we should be sending coloring books to our candidates instead of books about the environment. Can one of you design one that is just for them?